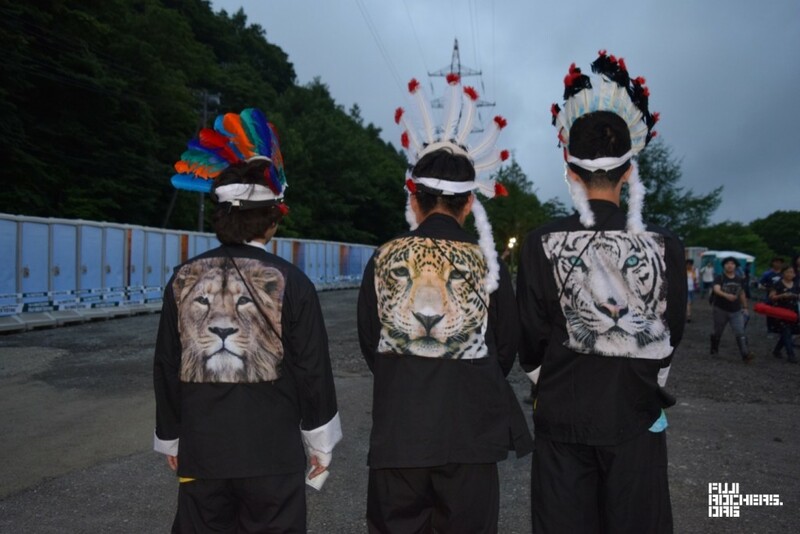 What on Earth should I wear to Fuji Rock? Now that you’ve got your waterproof shoes and practical camping clothes picked out, it’s time to throw some actual fashion items into your luggage. 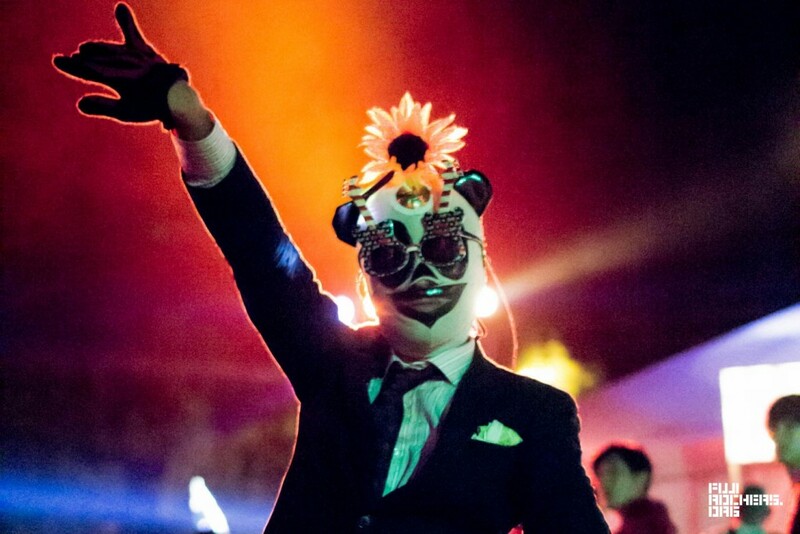 So make sure to save some room for a frog suit, panda mask, interesting headgear, face paint, or exceptional clothing items that will have the punters lining up to snap selfies with you. Need some inspiration? 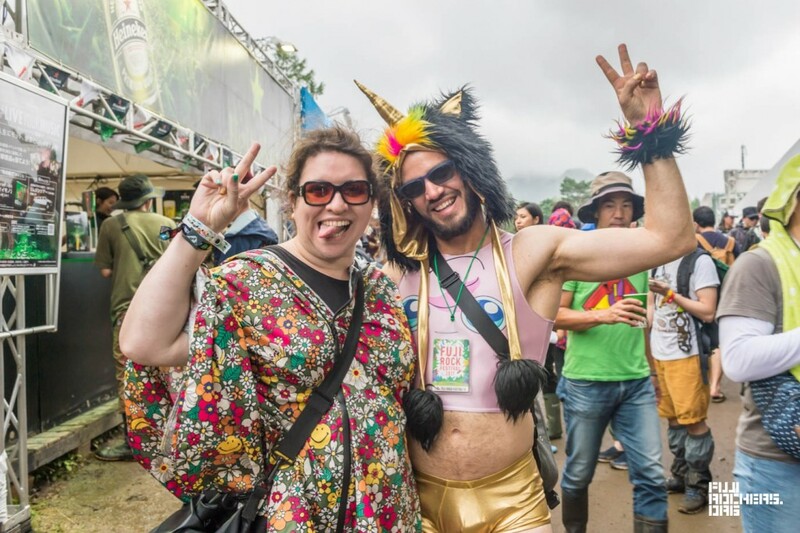 Here’s a sampling of festival fashion statements from 2017. Is the UNICORN thing still happening? Well, sure! Why not? 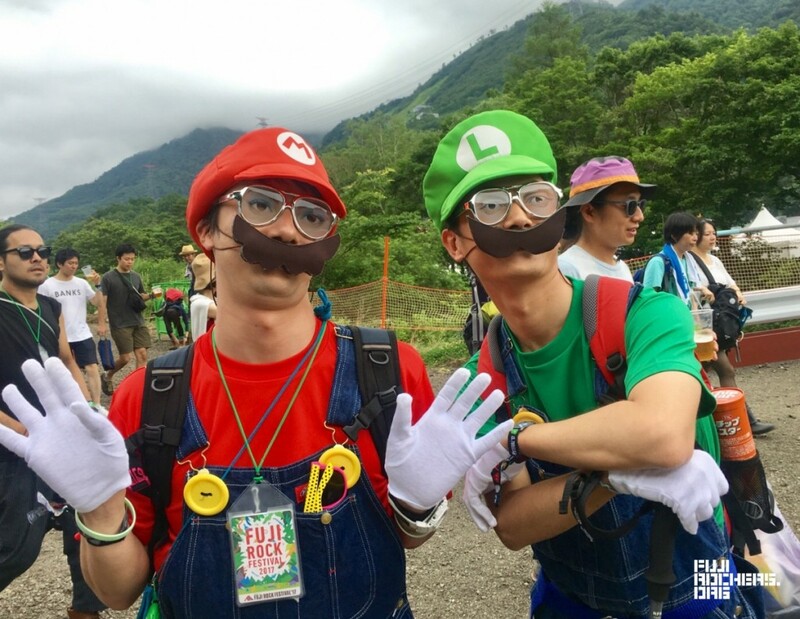 And what better place than Fuji Rock to live out your fantasies of infantilized hedonism! You go girl! Get your prance on! Maybe they lost a bet? Well, not necessarily. 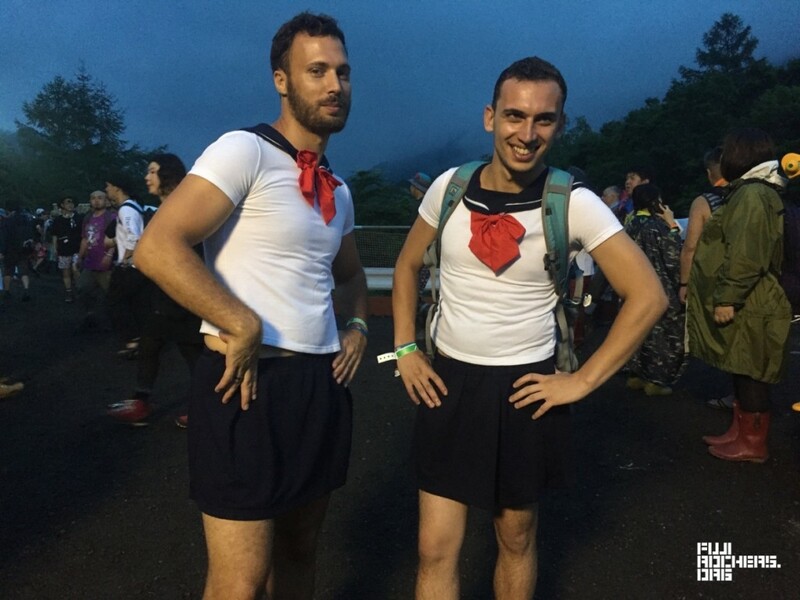 Let’s give it up for these Euro dudes in their Sailor Moon-esque schoolgirl gear! They definitely could have gone farther with the look, but wigs would be a real bother to wear in the woods all day, and I’m guessing it was difficult to find hip boots in the right size. So let’s give credit where credit is due. As the Chinese proverb says, “When you cross the border, adopt the local custom.” It’s quite possible they imagine that they are doing so. 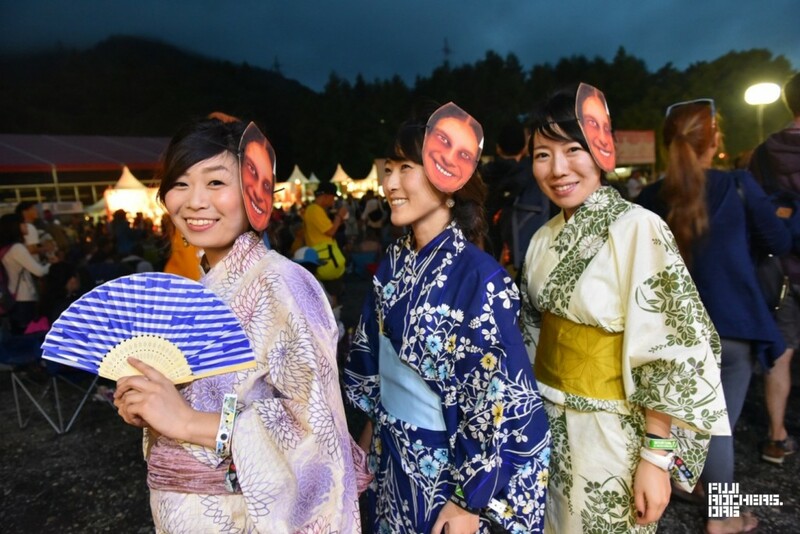 This trio of lovely ladies not only get points for rocking those yukatas, but if you will notice, they’re also donning masks of their favorite artist! In this case, for the 2017 festival, it was Aphex Twin. I think it’s actually kind of cool to dress like the band your going to see, a tradition stretching at least from the Grateful Dead to the Juggalos. What about 2018? N.E.R.D.? Kendrick Lamar? There’s a big lineup. Take your pick! Great nails! And especially notice the one pinkie nail that looks like Gon-chan, the colorful painted rocks that populate Naeba. She’s also in a full-body frog suit. Geero! Geero! There’s nothing wrong with a little COSPLAY, or if you prefer, Halloween-style costumes of your favorite pop-culture heroes. 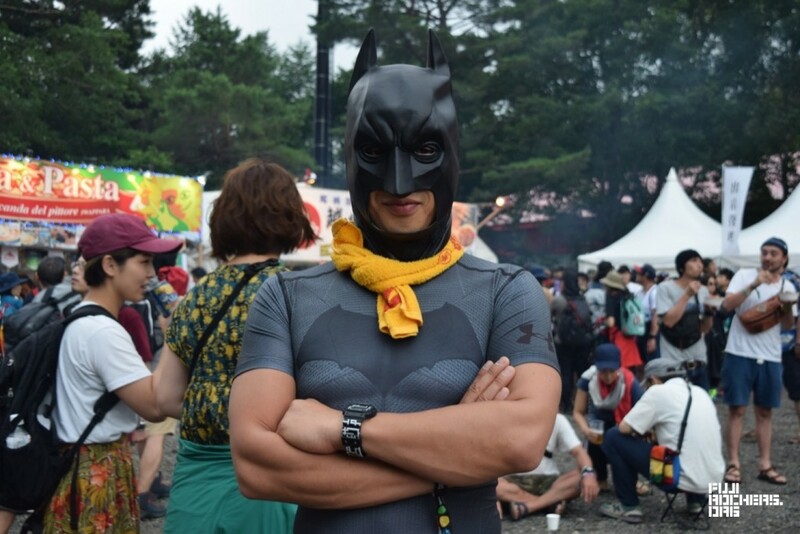 Batman wearing a Tower Records towel is very Fuji Rock. Nice touch! All kids should definitely dress as dinosaurs. And not just at Fuji Rock. 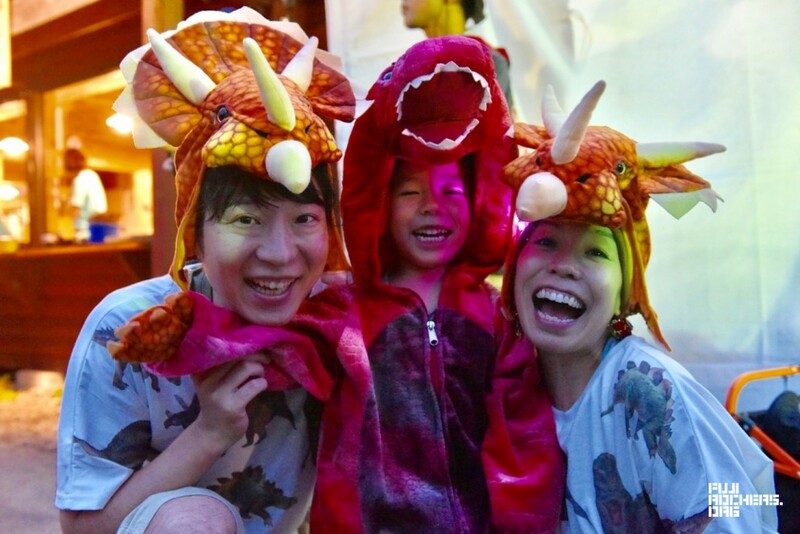 Also illuminating here, it seems that triceratops bonnets come in adult sizes. Look closer, and you’ll see the ladies are wearing dinosaur t-shirts too. This was obviously thought out. WTF! Not every outfit has an easy explanation. Sometimes it just feels right. 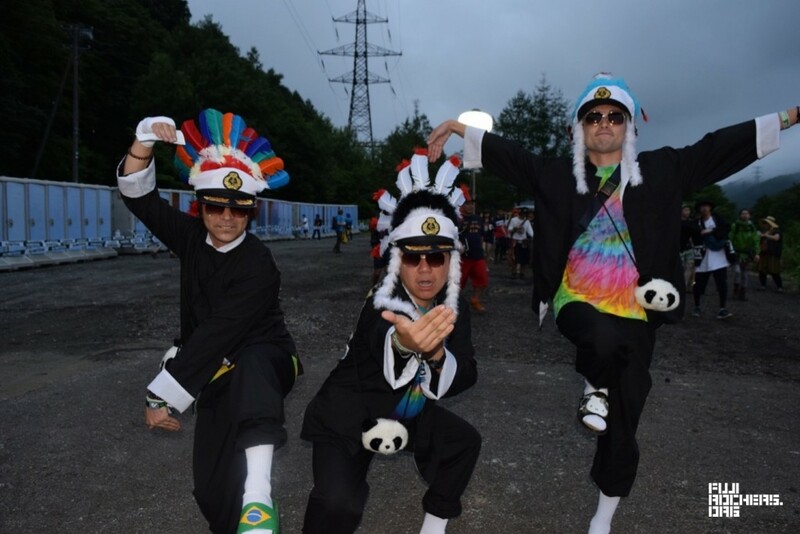 We can only imagine the conversation these three guys had as they were buying three matching sets of clothes to wear as a unit all weekend long. Surely! We can only imagine!